If, as expected, no-one wins 50%, the two with the most votes will go to a run-off round in a fortnight's time. 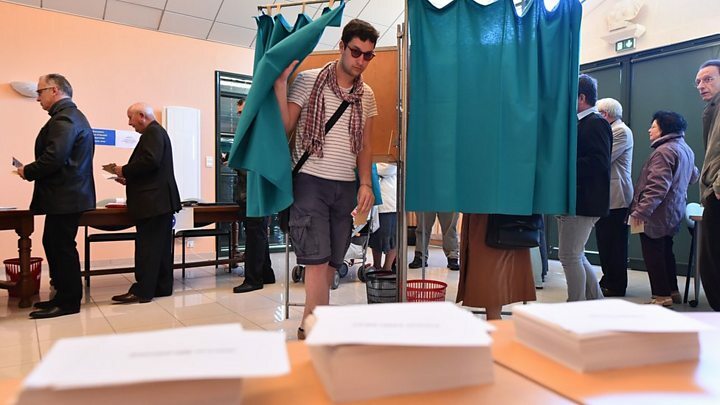 Polling stations in France opened at 08:00 local time (06:00 GMT), although some overseas territories began the voting on Saturday. Most polling stations close at 19:00, with some stations in major cities able to remain open for another hour. Projected results are expected quickly afterwards. Turnout by 15:00 GMT was 69.42% - slightly lower than the corresponding 2012. 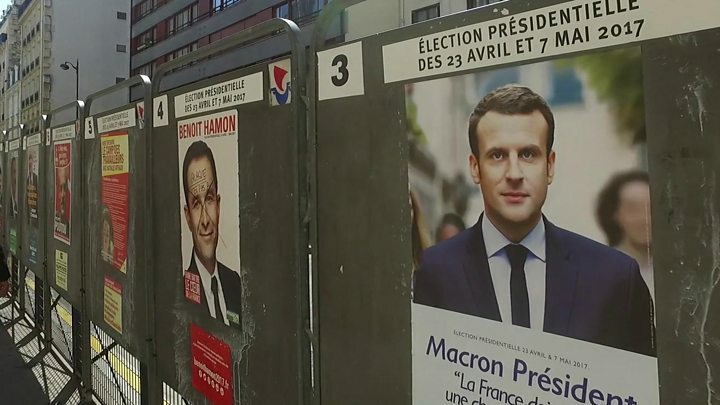 Four candidates are seen as being within reach of the presidency: the conservative François Fillon, the far-right leader Marine Le Pen, liberal centrist Emmanuel Macron and the far-left's Jean-Luc Mélenchon. Media captionThe top two from Sunday's vote will go through to the second round in May. A second round between the top two will be held on 7 May. Can Emmanuel Macron radically change France? Mr Fillon is the only one among the leading contenders from an established party of government. Benoît Hamon, the Socialist candidate from the same party as the current president, is largely seen to be out of the running.